If you’re in a fairly dangerous line of work, full-time body armor might be the wisest way to go. But for the rest of us, there just aren’t many times when body armor is practical. A fabric called Deflexion could help provide protection only when it’s needed, remaining soft and flexible at all other times. 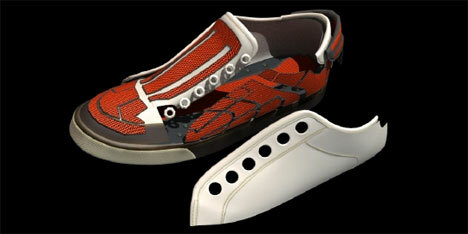 The fabric is made by Dow Corning out of a special type of polymerized silicon. The material differs from regular silicone in that it’s normally flexible, but when hit with an impact the molecules group together and turn solid in the blink of an eye. 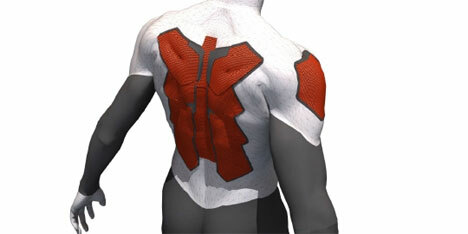 The newly-solid material absorbs the impact and protects the wearer just like traditional body armor. Just as quickly as it went solid, the material turns flexible again. Deflexion can be cut, sewn, washed and worn just like any other type of fabric, making it ideal for everyday applications like sports gear, shoes or impact-proof gadget cases. It provides protection without bulk, all while boasting an extremely futuristic scientific makeup.